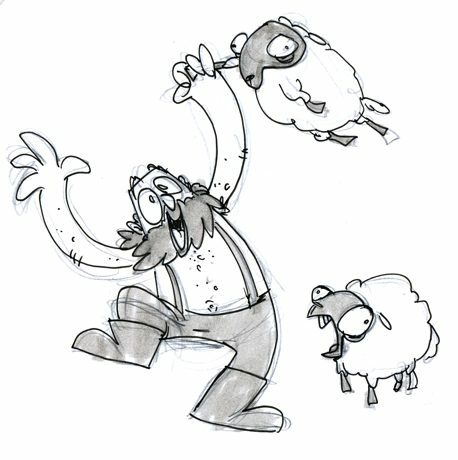 Great animated short by Junaid Chundrigar about one man's love for his sheep. And aliens. The pen and ink sketch shown above reminds me of the work of Quentin Blake, illustrator of Roald Dahl's books.